Antonio Pignatelli was born at Spinazzola, currently Publia, to an aristocratic family of the Kingdom of Naples. His family was considered one of the most illustrious in Naples, traceable not only to the Crusades, but also to the earlier Lombard rule. He studied at the Roman College receiving law degrees in both canon and civil law. At the age of twenty he entered the Roman Curia holding various positions. They included vice-legate of Urbino, governor of Viterbo, nuncio to Tuscany, Poland and Vienna. In 1682, Innocent XI made him cardinal priest and in 1687, archbishop of his beloved Naples. Upon the death of Alexander VIII another contentious conclave ensued. It was the longest conclave of the century, lasting five months. Riots broke out in Rome in reaction to the clashes of the various political factions. Due to divisions within the opposing factions Pignatelli was elected as a compromise candidate. Innocent XII chose his name out of admiration for Innocent XI and proceeded to act in much the same fashion. He embarked on a program of reform in Rome and the Papal States insisting on an economical administration and impartial justice. He drastically reduced the sale of offices. To compensate for the loss of revenue accrued from those transactions he cut the expenses of the papal court to a minimum and opened harbors to more lucrative trade. 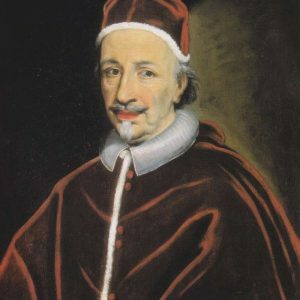 Innocent XII did much for the poor and downtrodden, developing charitable institutions for poor children and opening the Lateran, which was no longer used as a papal residence, as a refuge for the unemployed. 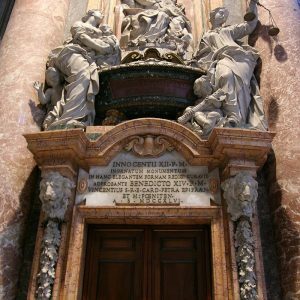 His generosity to the poor, so evident prior to his pontificate, manifested itself in his use of the papal treasury to care for victims of the plague, an earthquake, and flooding of the Tiber in 1695. Innocent was beloved by the people who considered him a real father. He, in turn, referred to the poor as his real nephews. 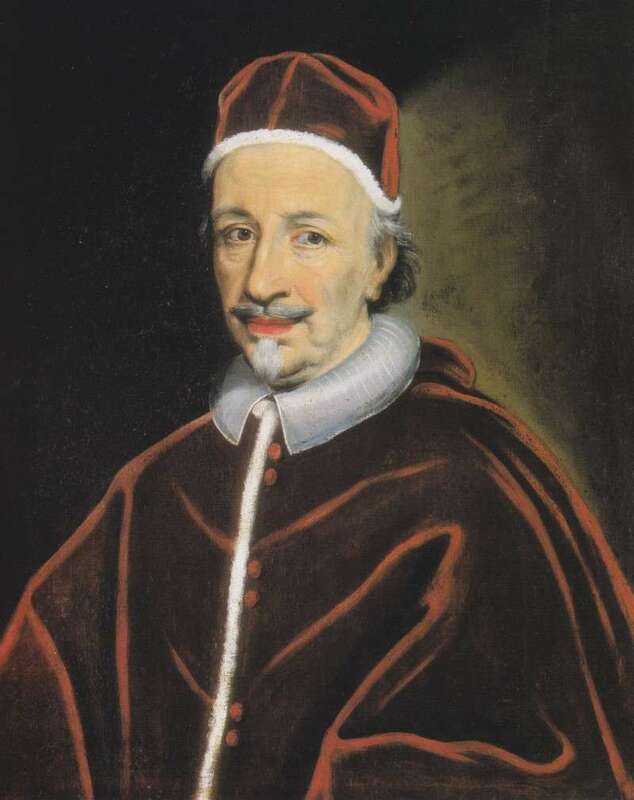 Perhaps the most significant action of his papacy was the bull, drafted by Giovanni Albani, the future Clement XI. This revolutionary decree in 1692 struck at the roots of nepotism. It stated that the pope should never grant estates, offices or revenues to relatives. If they were poor, they should be treated like others in need. It did grant, however, that one suitable relative would be eligible for the cardinalate with modest gains. The decree met with great resistance but Innocent and thirty-nine cardinals signed it, which was greatly appreciated among the Protestants. Innocent devoted a lot of attention to religious reform of the clergy even going so far as to insist priests wear cassocks in Rome and do spiritual exercises twice a year. The message was clear: either be a priest or be a layman. Innocent’s religious dedication spread throughout the world as missions increased in the Americas, Asia and Africa. Controversies, especially in China, where an attempt to reconcile local traditions with the Gospel message could only be partially resolved. King Louis XIV of France had already dealt with six popes when Innocent XII was elected. He was open to compromise with the pope after a fifty-year politico-religious deadlock between France and the Vatican. Innocent ratified the king’s appointment of those bishops who had not taken part in the 1682 Assembly that had culminated in the Gallican Articles. At that time, the clergy had submitted to the demands of this declaration which granted the king absolute authority in matters concerning the French church. Louis, in turn, promised to revoke the declaration, which obliged the French bishops to subscribe to the four articles. 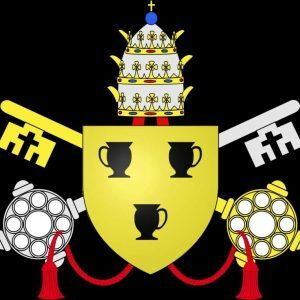 Those bishops who had signed the declaration in 1682 wrote letters to the Pope retracting their signatures and Innocent granted them canonical institution. In return, Innocent accepted Louis’ extension of the right of regalia to his entire realm. Gallicanism held sway in France until the revolution and Napoleon. Emperor Leopold I regarded all of this with suspicion. At first he had received liberal support from the pope for defense against the Turks but later, relations with the papacy deteriorated, mainly due to the emperor’s imperial ambassador to Rome, Count Martinitz, who still insisted on the right of asylum, which had been abolished by Innocent XI. Relations with the empire became strained. The Catholic Encyclopedia states that this was due to the arrogance of Martinitz in a number of significant matters and resulted in Innocent XII advising King Charles II of Spain to make a Frenchman his successor rather than the emperor’s preference, Archduke Charles of Austria. When the pope was consulted he recommended Philip of Anjou, the grandson of Louis XIV, who thereupon became Philip V of Spain. This choice eventually led to the war of Spanish Succession. In 1696 he repeated his predecessor’s condemnation of Jansenism and in 1699 he condemned, at the insistence of Louis XIV, certain mystical ideas taught by a French woman, Madame de Guyon, who was supported by Fenelon, the archbishop of Cambrai. 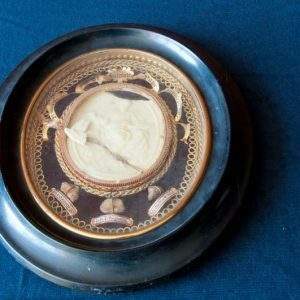 Innocent’s pontificate ended during the Jubilee of 1700. Since Europe was at peace, it seemed that it was a propitious occasion to have the European powers come together in front of the Holy Door. Innocent made every attempt, despite his ill health from the affects of gout, to give audiences to pilgrims as long as he had strength. Innocent died in September of 1700. 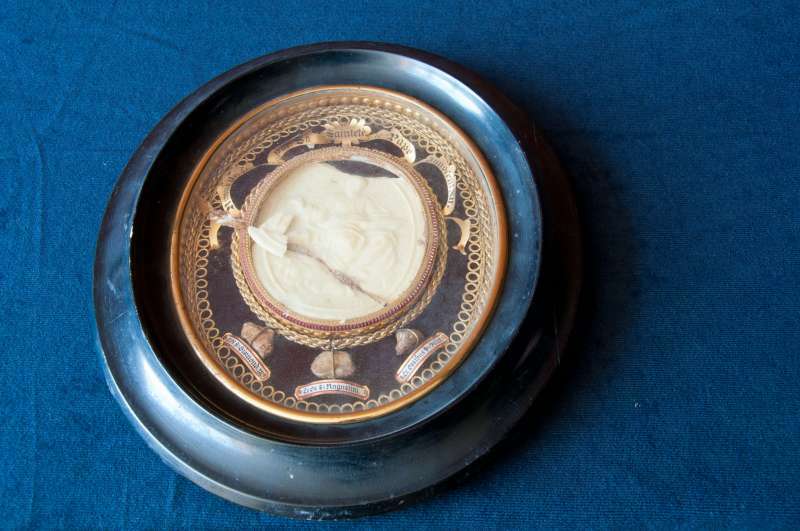 He was buried in the Vatican in a modest sarcophagus that had been prepared for him. 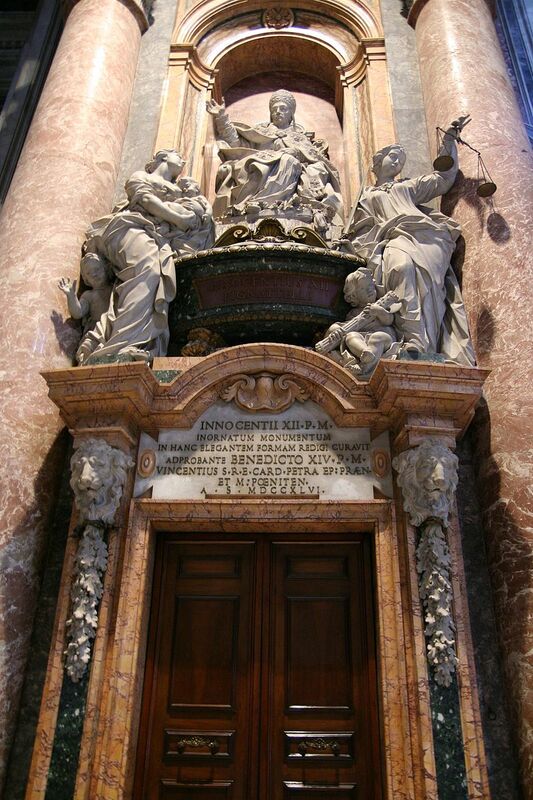 Subsequently, Benedict XIV erected a monument to him in Saint Peter’s Basilica.